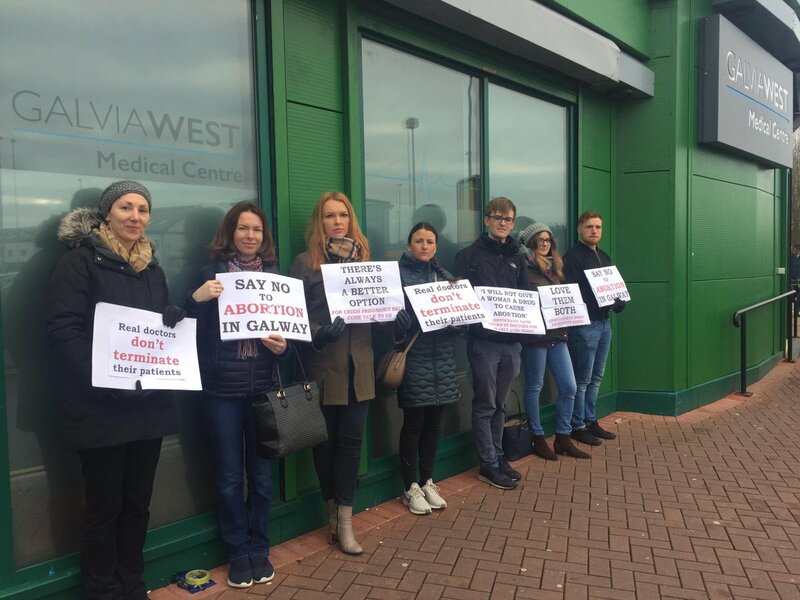 Irish abortion activists are demanding that the government censor pro-life speech after pro-life protesters peacefully stood outside one of the country’s new abortion facilities Thursday. Abortions became legal on Jan. 1 in Ireland, ending decades of protections of the human rights of unborn babies. Their peaceful protest gained attention on social media and later in the country’s news media. Positive news from Galway City. We stood outside a GP clinic that is on the HSE list as being an outlet for the abortion pill. The reaction from Galwegians was amazing. We had offers of food and coffee, beeping horns and support from many. The attention prompted abortion activists to renew their calls for buffer zones, which prohibit pro-life free speech within a certain area of abortion facilities. Ailbhe Smyth of the pro-abortion Together for Yes campaign urged Health Minister Simon Harris to stop the protests as soon as possible. Colm O’Gorman, the head of Amnesty International Ireland, also demanded that parliament enact buffer zones, claiming pro-lifers want to “harass” and “obstruct” women. Harris, a leading pro-abortion politician, previously said he would support a buffer zone law. But Irish pro-life advocate John McGuirk pointed out an absurdity of the proposal: The government is not publicizing its list of abortion facilities, so how will people know where the buffer zones even are. “… that strikes me as an arbitrary and excessive restriction of free speech,” McGuirk wrote. Pro-abortion political leaders appear to be trying to steer women away from life-affirming pregnancy resources as well. Meanwhile the HSE [Ireland’s health department] warned that a number of websites have cropped up with very similar names and appearances to the official website of the MyOptions helpline claiming to offer support for people support for unplanned prengancies. The HSE cautioned people to be wary of such sites as many unplanned pregnancy agencies may have a “hidden agenda”. Pro-lifers do not have any “hidden agenda.” Pro-life advocates and pregnancy centers make their mission clear. They want to empower women to choose life for their unborn babies by providing free counseling, information and material support. Ireland’s new abortion law, which was rammed through parliament in December, allows abortions for any reason up to 12 weeks of pregnancy and up to six months in a wide variety of circumstances. It also forces taxpayers to pay for abortions and forces Catholic hospitals to provide them. The new law strictly limits conscience protections for medical professionals, and hundreds of doctors and nurses fear being forced to help abort unborn babies or lose their jobs. Even doctors who support abortion have expressed major concerns about abortion being legalized so quickly in Ireland. Leading medical professionals and medical organizations have said the premature start date could put women’s lives at risk, and many hospitals have said they are not ready. They point to a lack of ultrasound machines, clinical guidelines and trained staff as reasons why the government should have delayed legalizing abortion.